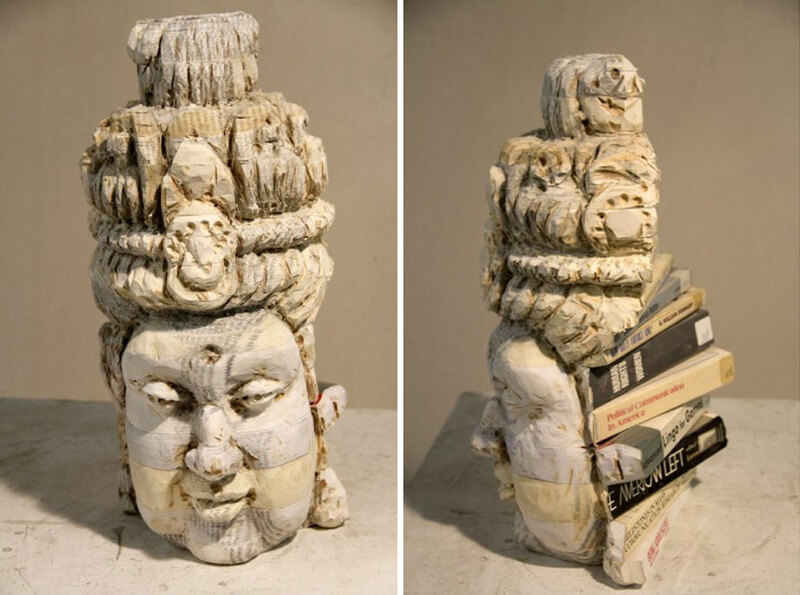 We’ve posted the work of Long-bin Chen previously as part of the Dissections and Excavations in Book Art exhibit at The Halsey Institute of Contemporary Art. 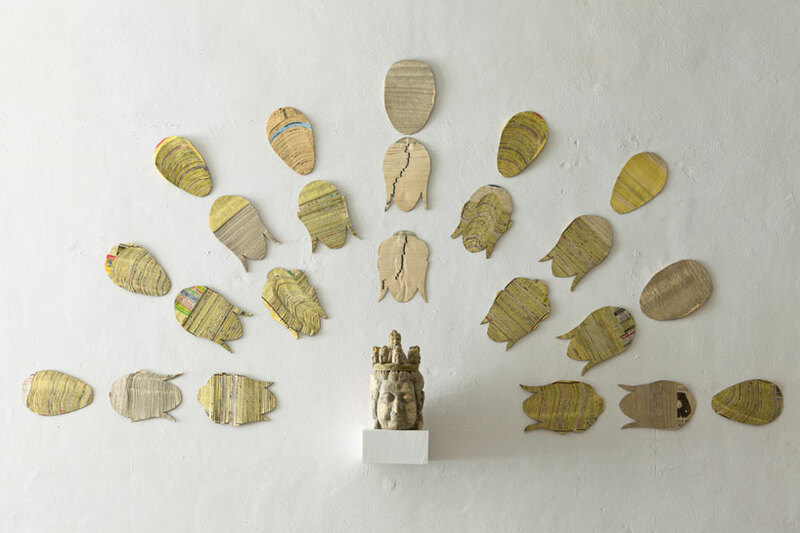 Today we take a closer look at his work specifically. 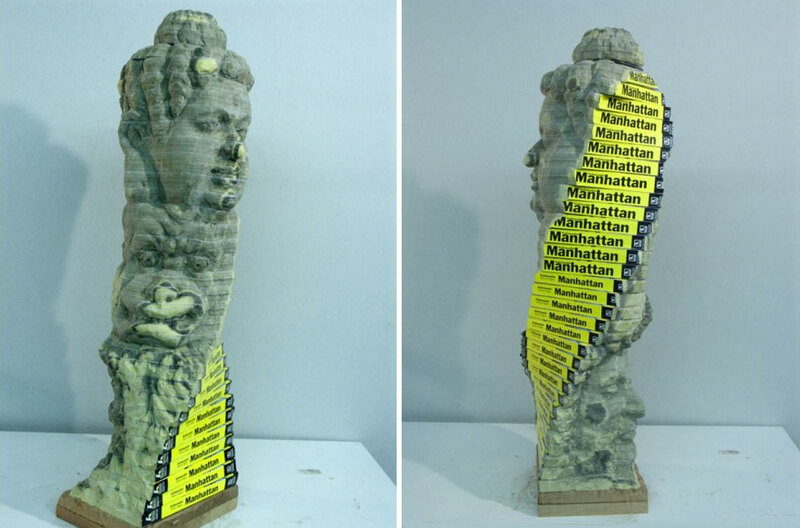 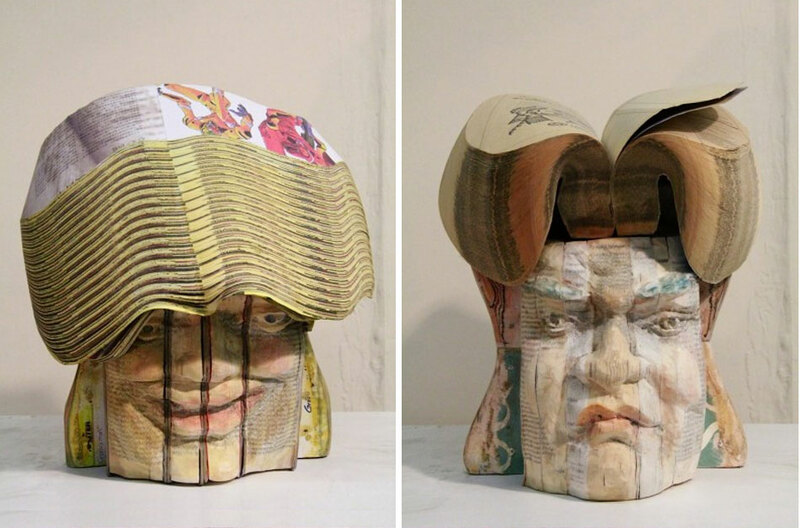 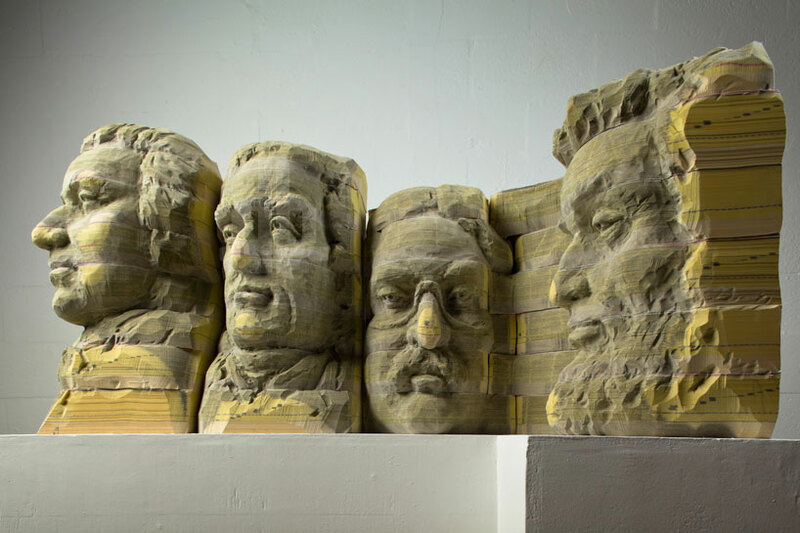 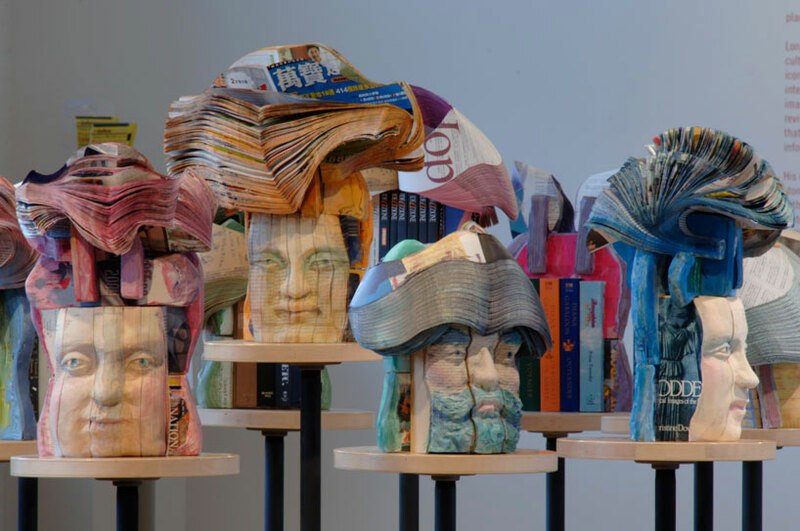 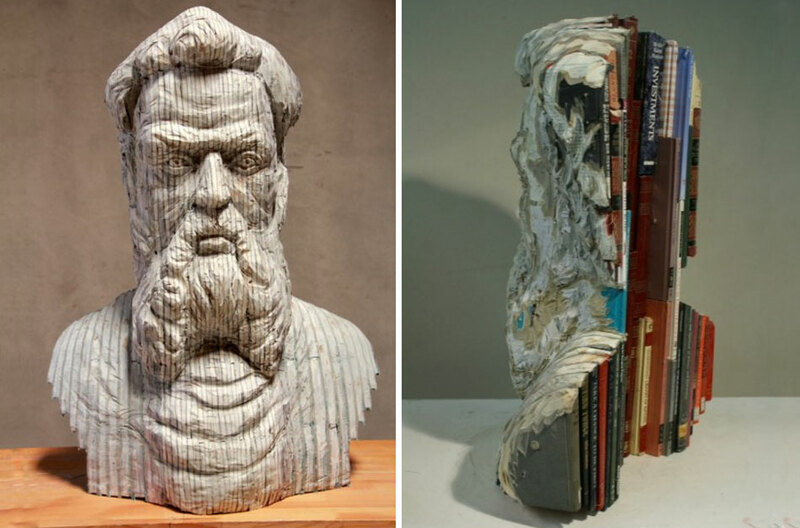 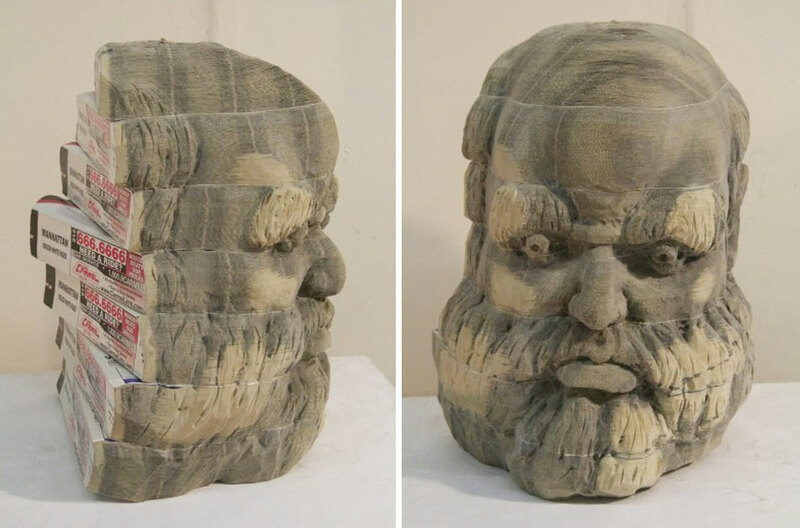 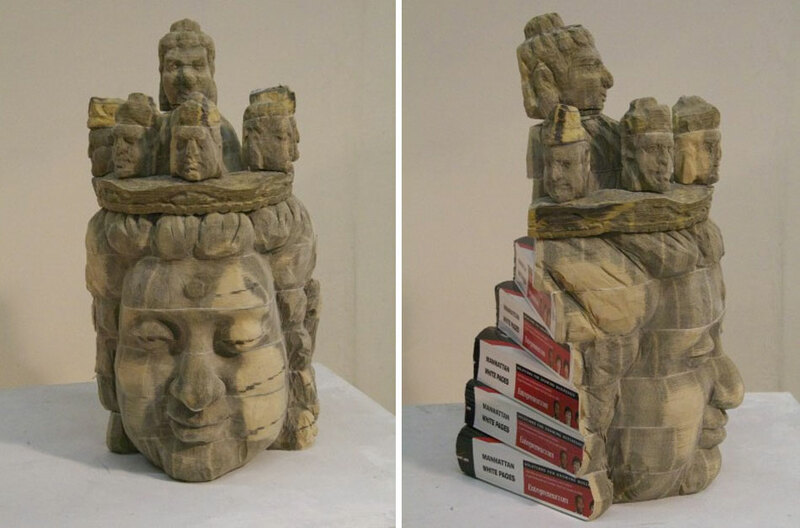 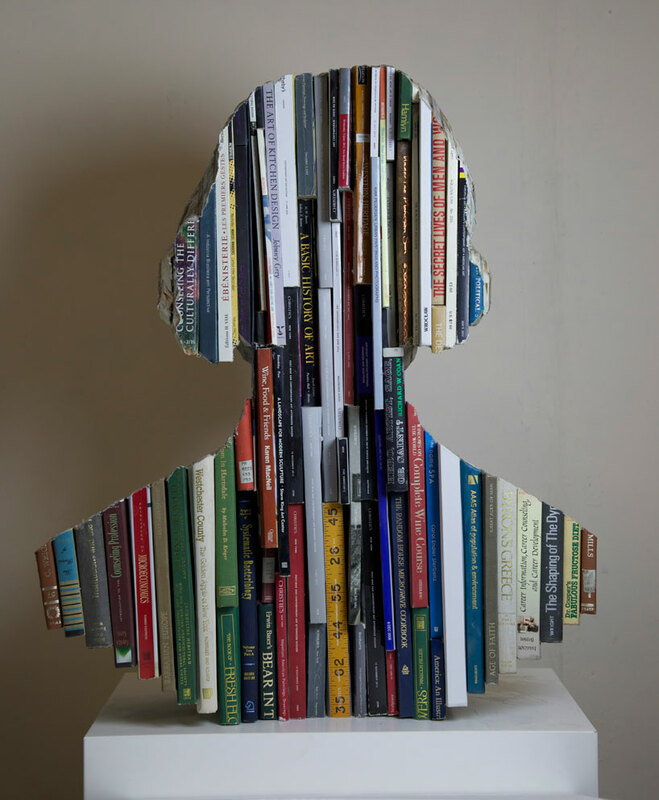 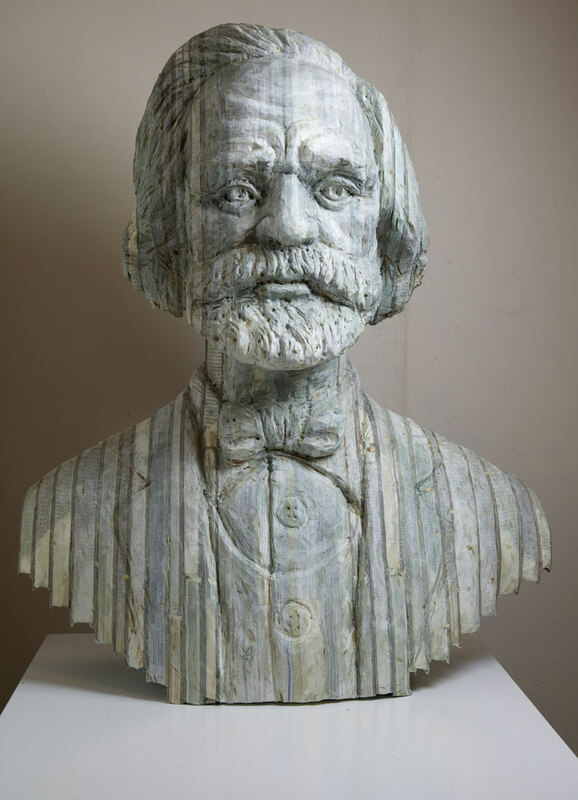 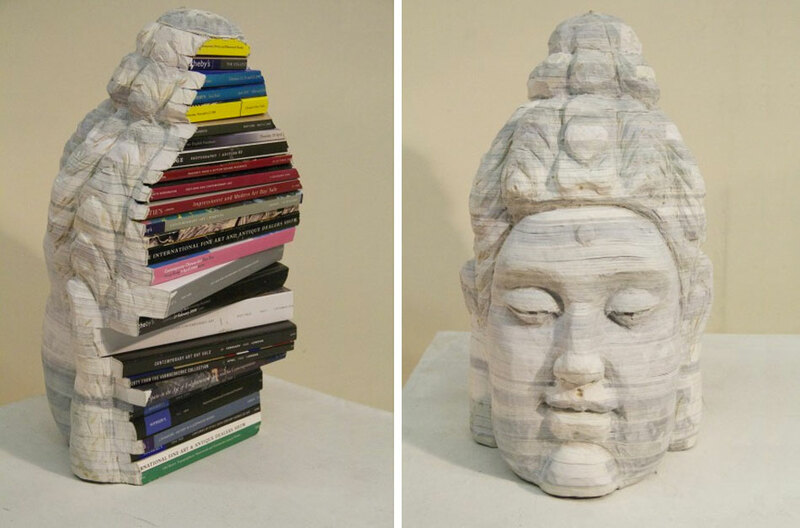 The New York-based artist carves stacks of books or papers into warriors, Buddhas, and other often Asian culture-inspired sculptures, the finished piece resembling stone carvings. 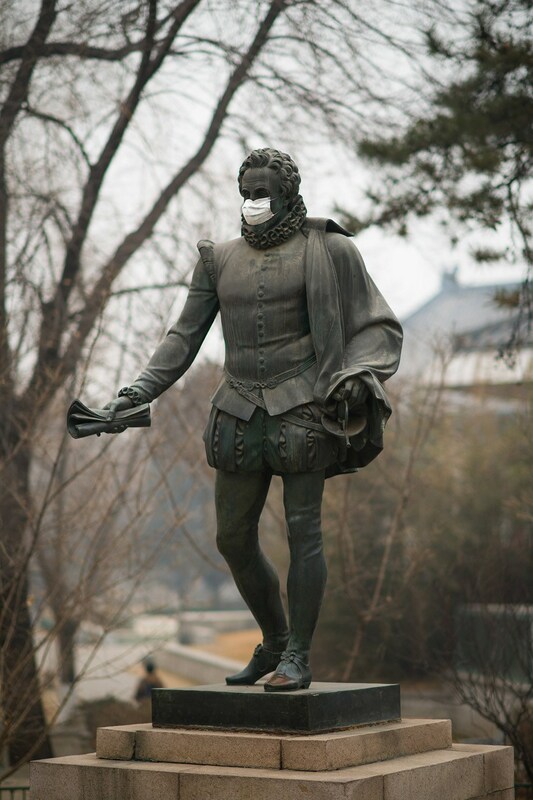 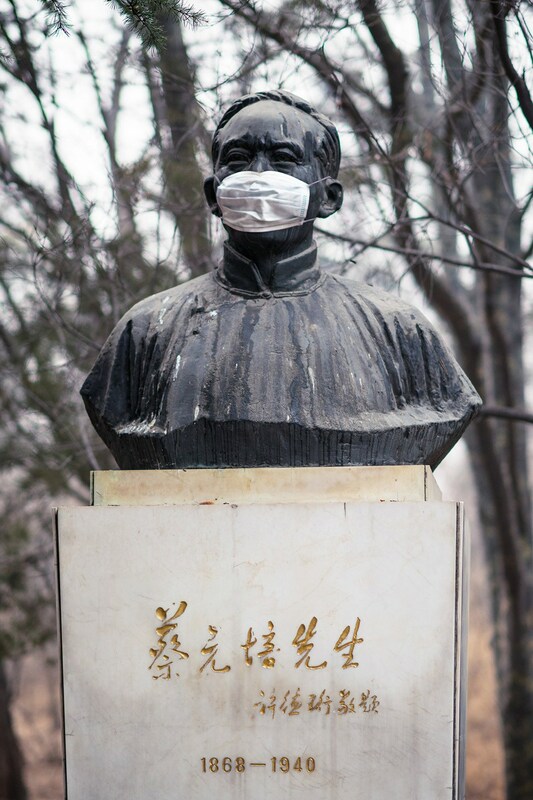 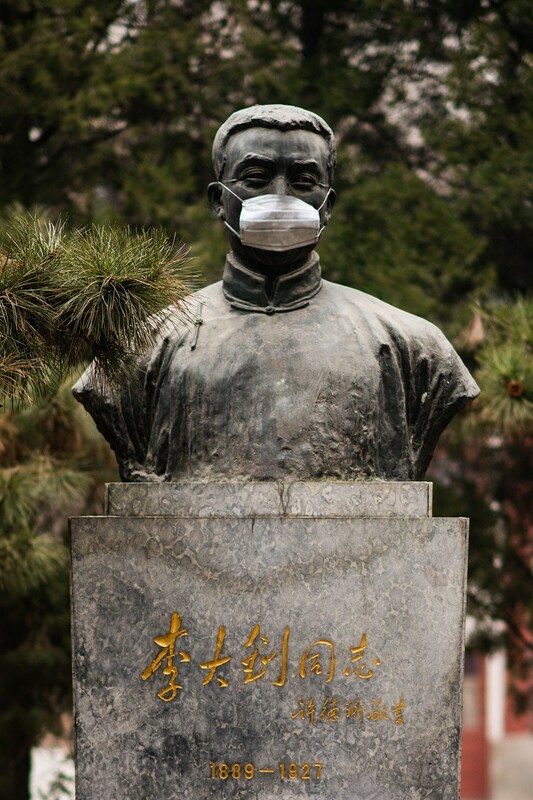 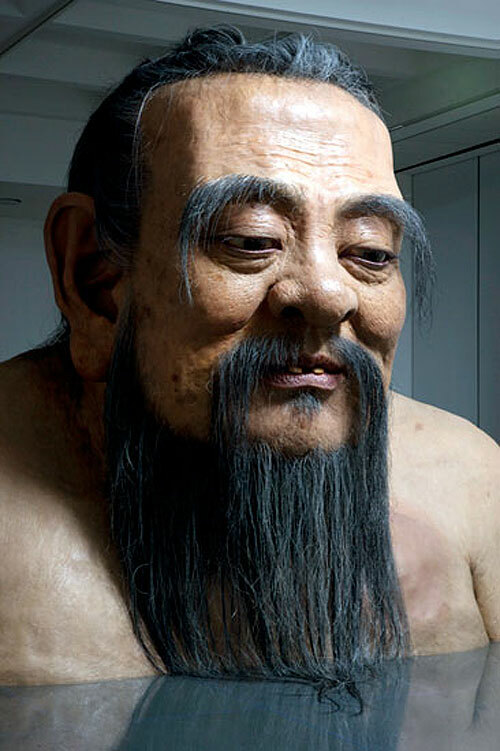 Chinese artist Zhang Huan has become well known for his performance art as well as his sculptural works. 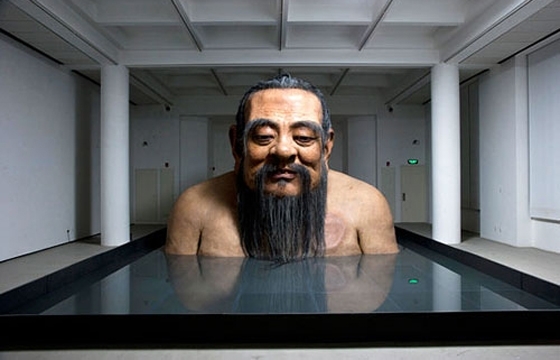 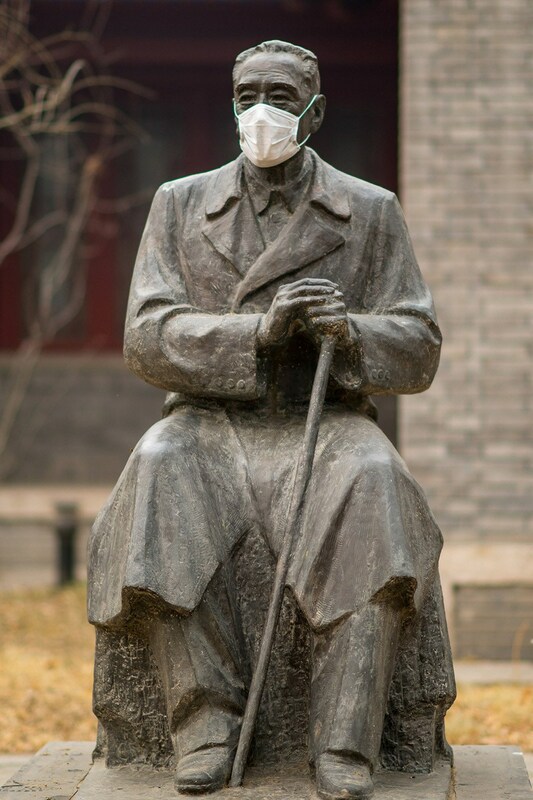 This morning we take a look through a collection of some of his sculptures including this 2011 piece titled Q Confucius No.2, a ‘massive silica-gel, mechanical bust of an unclothed Confucius rests in a rectangular pool.’ The sculpture’s breast rises and falls as if the object were breathing!